HyperTrack Inc., a US- and India-based startup that helps businesses track their executives and products in real time, has raised an undisclosed amount in a Series A round of funding led by Nexus Venture Partners and Founders Fund. Founders Fund—known for backing companies such as Elon Musk-led SpaceX, Facebook and Spotify in the past—invested in the startup from its FF Angel Fund. As part of the funding round, Nexus co-founder and managing director Naren Gupta has joined the startup’s board, HyperTrack founder Kashyap Deorah said in a blogpost. In February, HyperTrack had raised $1.5 million from Chamath Palihapitiya's Social Capital and Vy Capital. A number of angel investors, including Deepinder Goyal of Zomato; Hari Bhartia of Jubilant Foods; Junglee.com founders Anand Rajaraman and Venky Harinarayan; Investopad founders Rohan Malhotra and Arjun Malhotra; and Webaroo co-founder Rakesh Mathur had also invested at the time. Helion Ventures co-founder Ashish Gupta had joined the startup’s board in February. Founded in October 2015, HyperTrack offers developers application programming interface (API) solutions with location tracking features. 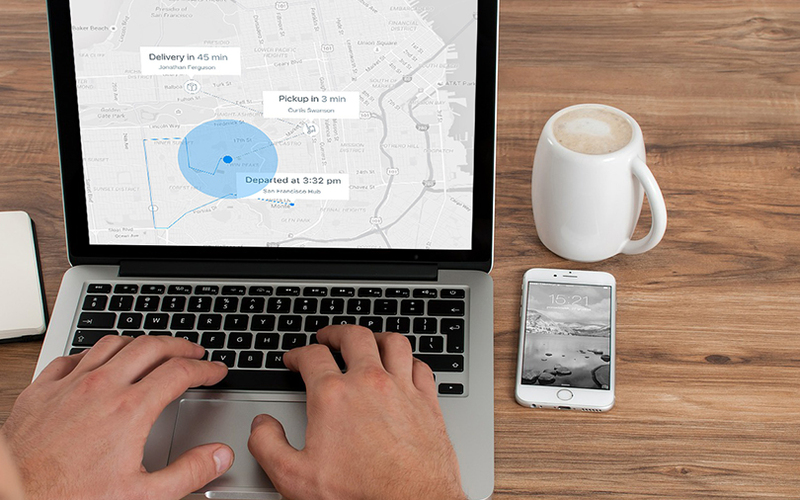 App developers can plug HyperTrack into their app to start seeing the live location of their users on a map. With a few more lines of code per feature, developers can implement live location features in their product using their favorite programming platform, according to the startup. Zomato, Goibibo, HouseJoy, redBus, Delhivery, Freshdek and PharmEasy are some of the new-age companies which have used HyperTrack’s location tracking service. “HyperTrack’s approach to location tracking, analytics, and associated services is intriguing based on the simple observation that location varies more frequently for any individual during the course of days and weeks than most other parameters,” said Gupta of Nexus. “I predict that within the next two years, several as-of-now unimaginable applications would be enabled using this technology. Some applications will combine location with other micro-services like payments, identity, or communications,” he added. Kevin Hartz of Founders Fund said that HyperTrack offers a way to unlock a new generation of location-based services that previously only the best-funded and technically specialised businesses could manage. Deorah, a serial entrepreneur, investor and the author of The Golden Tap, started HyperTrack along with Tapan Pandita. Deorah had set up and sold three companies before HyperTrack. His first venture, RightHalf.com, was sold to a Silicon Valley company. In 2007, he launched Chaupaati Bazaar, a phone commerce marketplace, which got merged with India’s leading retailer Future Group. In 2012, he co-founded mobile payments company Chalo and sold it to San Francisco-based OpenTable, a leader in the restaurant reservations space.